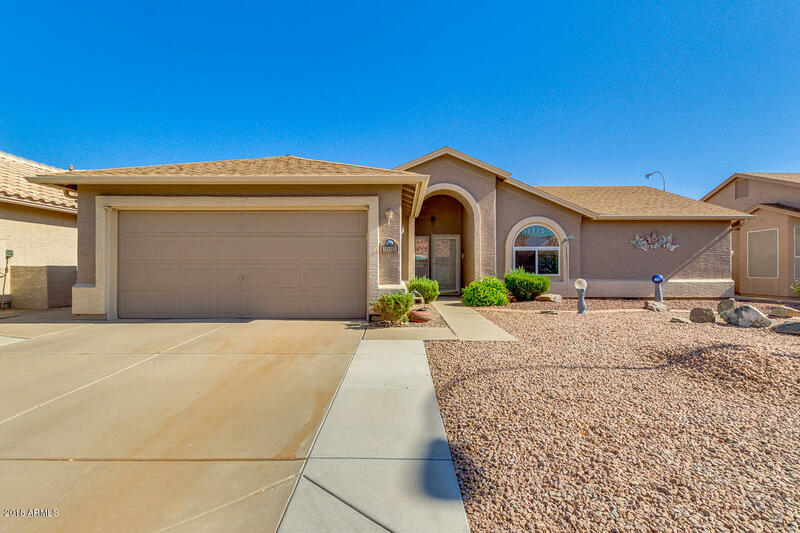 2 Bed, 2 Bath, Den in SunBird Golf Resort, Chandler. Beautiful popular Augusta with Open Floor Plan and Vaulted Ceilings. Gorgeous Remodeled Master Bath, Tile Shower, Comfort Height Vanity and Toilet, Tile Flooring and more. Kitchen Updated with Granite C-Tops and Backsplash. Vinyl Dual Pane Windows with Granite Sills. Added Aluma-line Covered Back Patio. Updated Attic Insulation (R44), Newer Water Heater and Re-circulation Pump. Widened Driveway and Back Patio. Storage Cabinets in Garage. Amenities: Post Office, Golf Course, Driving Range, 43,000 sqft Clubhouse, 7,600 sqft Ballroom, Restaurant, Bar, Heated Pool & Spa, Health Club, Billiards, Tennis, Pickleball & Bocce Ball Courts, Library, Lapidary, Ceramic & Craft Rooms, Bike/Walking Paths, Fishing Lakes & Horseshoes.